Orang-U: An Ape Goes To College is out! Watch the whole movie on YouTube. buy a printed copy at Lulu or get an ebook (ePub, PDF). 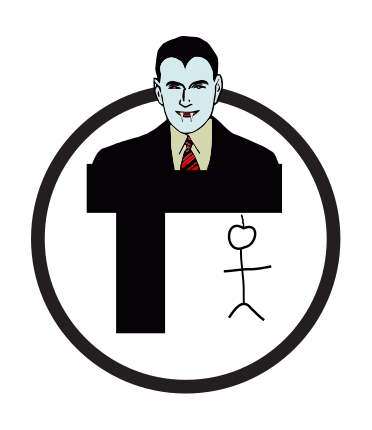 We made a haunted version of the MBTA map (the public transit system in Boston) for use in future movies. Here it is. These will be available soon. Let us know your interest here. Scott Peterson (Geoff Van Wyck) learns that his father, animal exporter Jefferson Peterson has died. In order to maintain his lifestyle and the freedom of his pet orangutan, James he agrees to attend his father's alma-mater in Boston. He uses his father's frequent donations as a barter that results in James attending college instead, while he pursues his electronics hobby and works in a bar. Protests occur when animal rights activists find out that the Peterson family is building a new wing at the school and quickly, his actions attract the attention of local reporter June O'Connor (Mikayla Bishop) and her father (Wolfgang Schuler). June objects to Scott and questions his commitment to his vegan diet and animal rights activism, while her father is determined to seize control of both the bar and the Peterson family business. To this end, he employs a lawyer to challenge James to graduate law school, and later involves the family butler (Bailey Bishop Jr.) who arrives in Boston to bring James back to Seattle. Later, O'Connor harnesses mythical powers and places his daughter under a spell, while ordering his associate to murder the butler and the bar owner and pin the murders on the orangutan. Failing to kill anyone, the associate quickly attempts to take over the bar, and later shapeshifts into a demon before being destroyed by the power of music, releasing the hex on June and allowing the gang to defeat O'Connor once and for all at the graduation ceremony. The bar owner returns and is last seen having killed O'Connor on the Boston Common. Later, we see that Scott and June have resolved their issues and plan to travel the world, but first Scott shows his invention newan invention which causes a split in the fabric of time and releases the previously vanquished demon. Orang-U: An Ape Goes To College is licensed under a Creative Commons Attribution-ShareAlike 4.0 International License.